Because we think we have time. Yesterday, my Country lost someone who really impacted on the growth and well being of our nation as a whole. I didn’t know her personally. Heck, I dont even know what her portfolio reads, where she schooled and what degrees she obtained and what she is professor of. But I know she has been the most wave-making NAFDAC DG I have heard of since I have been born Nigerian and even though her rise to popularity may be accorded to her being female, she proved her mettle for the entire time she was in authority. 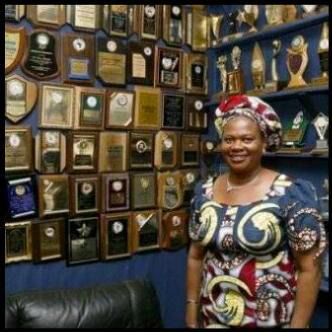 She gained respect and accomplished so much within her tenure, that her record is definitely worthy of emulation. She was a fighter and a defender, she was fearless and she was woman. In as much as this may seem like a bait for feminists but please spare me, I am in no way saying because she was a woman, it was such an incredible feat or that women are taken to weakness and non-performance. Instead I am posing a more valid question/argument/food for thought/however you want to see it, to us Nigerians, as a whole, man, woman and child. Dora died at 59. After being ill for a while ( maybe two years), so lets say since she was 57, she had reclined from her very active life on health grounds. But in that time, she had made enough impact to make Dora a popular name (after Dora the explorer maybe) for the public which is not followed by hisses and cusses and accusations and judgement (which is rare for a Nigerian government official). I dont know what her illness was. You might think I should have bothered to do a little research for the sake of this write-up but honestly, knowing what she suffered from will not make her feel better neither will not knowing what it was deny the fact that her life taught me a thing or two. Lesson 1: The problem is you think you have time. Alot of times recently, I have come across the above mentioned and the pang of guilt I have always felt has been huge. I am a struggling repentant procrastinator. A lot of people I know probably are. Truth is, time is not a variable. Whether you agree or not, time is passing by and it doesn’t even have the “time” to notify you as it goes by. You have to, by yourself, develop the discipline to do right and do it promptly. You dont know how much time you have been allocated and you cannot determine for a fact how much time you have to achieve a task/goal. Whatever it is you plan to leave as a mark in your environment, it is very important that you start now. She died at 59. People have died younger. So what is age again? Lesson 2: There is no excuse. Everytime I find myself giving an excuse, this creeps up my mind and judges me…(it hasn’t stopped me from making excuses though..lol) But that is the truth. Often times, the reasons we find ourselves in situations that require us to make an excuse is because we were not able to properly evaluate our actions and the consequences. Dora, as NAFDAC DG, had a goal to achieve, she did not allow the threats or attempts on her life to deter the zeal with which she worked. She understood they were consequences for her (good) actions and she remained undeterred. 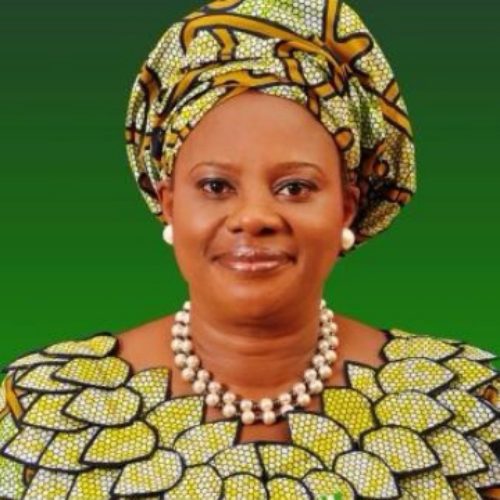 I dont know the name of the NAFDAC DG before or after her. I might not know them unless they are able to meet Dora’s standards or the need arises.The odds were not particularly in her favour, but instead of making excuses, she did excellent work. So now tell me, whats your excuse?? I found myself in the dark once, singing the National Anthem and I paid attention to the words of that Anthem and I made a resolve to be a better Nigerian. Its not my fault if the elected authority are not living up to expectations, but it is my fault if the small circle of influence I maintain cannot be held accountable. Big things start small. So I am starting small. For Dora, thank you for being strong. A (S)Hero when duty called. You caused a revolution (and I am not talking about the Rebrand Nigeria crusade). Nigeria will not forget you. Rest in Peace. “Its not my fault if the elected authority are not living up to expectations, but it is my fault if the small circle of influence I maintain cannot be held accountable” – JemJem. My favourite line. Jisike!